I was asked at work today for a healthy snack suggestion, and I could only think of fruit, nuts, or yogurt. The problem I find with any of these options is when you’ve got a hankering for a really savory snack, none of the aforementioned items truly satiate the craving. 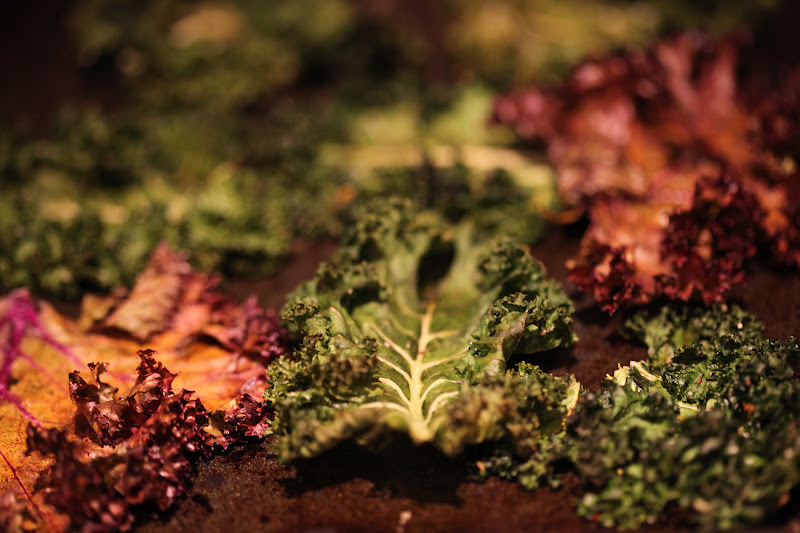 When I came home, I remembered all the kale I had purchased with the intent of trying once again to make kale chips. 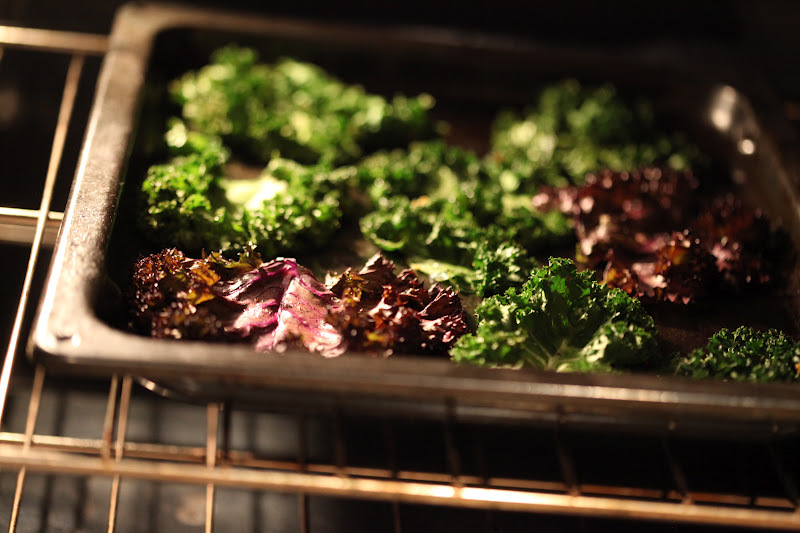 My first attempt at making kale chips resulted in setting off the fire alarm and and a burnt batch with only a few salvageable bites. 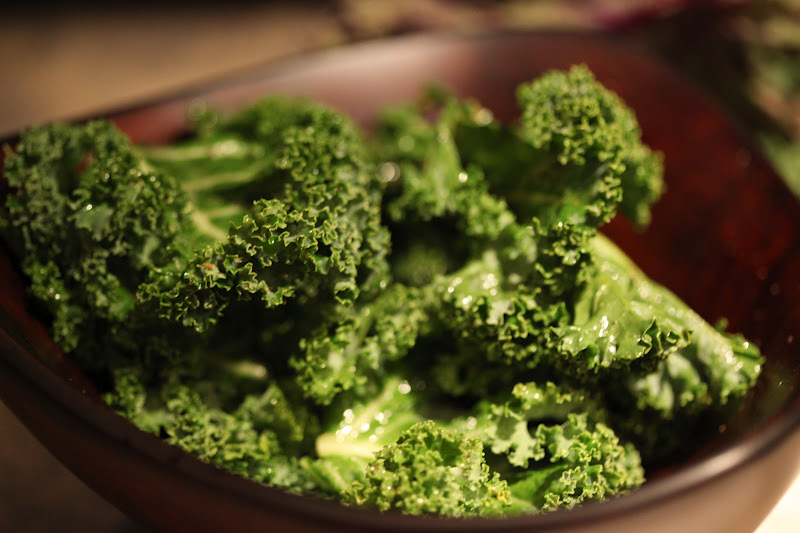 For this tasty snack, I used a mix of purple and green kale. Washed and dried them thoroughly, and tore the leaves and broke off the tough parts of the stem. Once dried, I drizzled just a little bit of olive oil, some salt, and Cavender’s seasoning. Additionally, I added a little roasted garlic spice blend and a touch of cayenne pepper. I gently massaged the oil and seasonings on every leaf, then laid the leaves upon rimmed baking sheets so that they did not overlap. 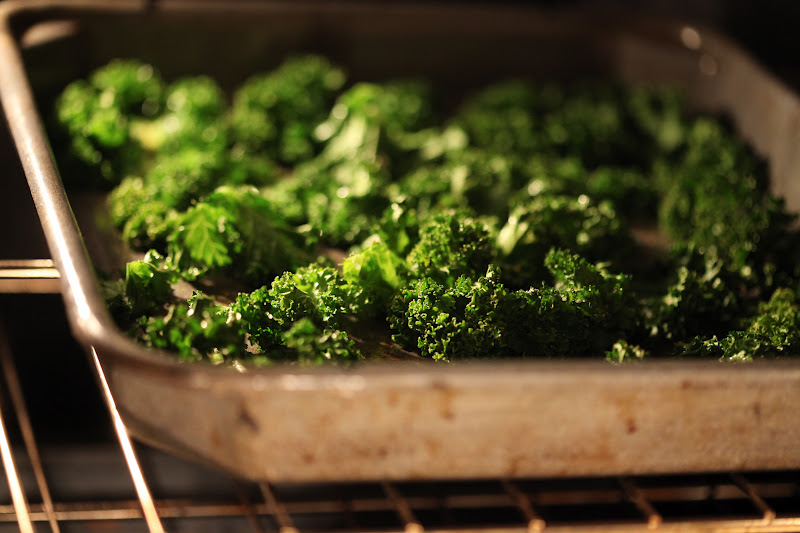 25-30 min in the oven at 250 degrees, and the kale chips become crisped. I can’t wait to take these to work tomorrow to share as a healthy snack. Savory, salty, and ADDICTIVE. Easy to make, although not fast/quick enough for me to make these regularly. 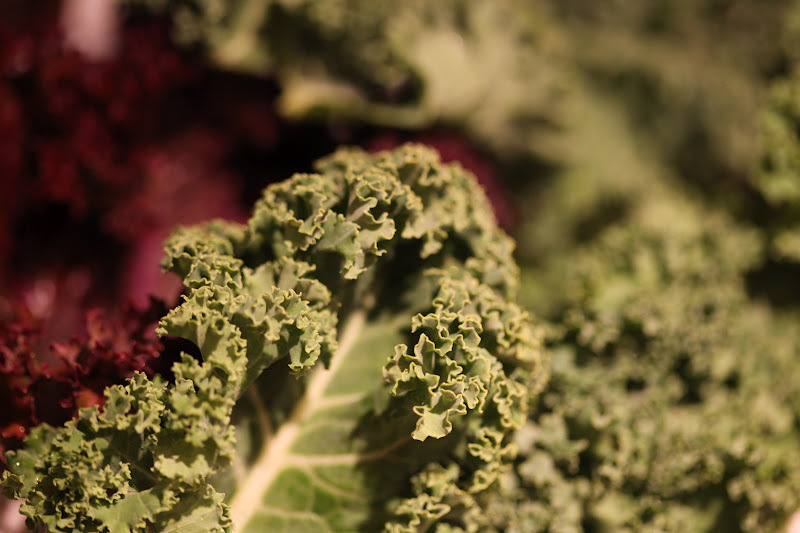 But kale is definitely something I have on hand regularly as it’s a staple in my cooking and my smoothies. 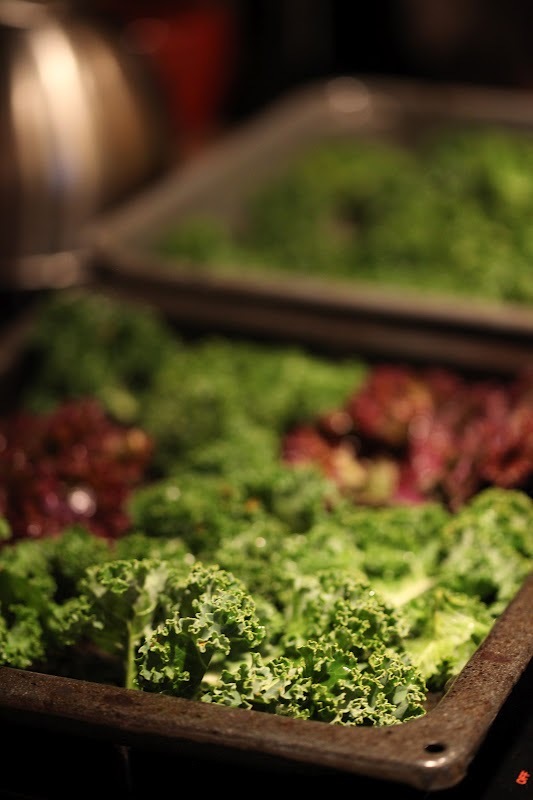 I have to give a big shout-out to my BFF Leah who first taught me how to make kale chips. Thankfully I didn’t set off any alarms this time! Next time I’ll play around with different seasonings to see what the best flavor mix turns out to be. Total cook time, 30 min and 5 min to prep. Calories: approx 110 per serving. ← Sabzi Chalau, or Spinach with Rice.